The dumpster fire that is Virginia state government continues to burn. It has decimated the governing leadership, as well as the Virginia Democratic Party. State Attorney General Mark Herring and Gov. Ralph Northam both admitted to wearing blackface. Lt. Gov. 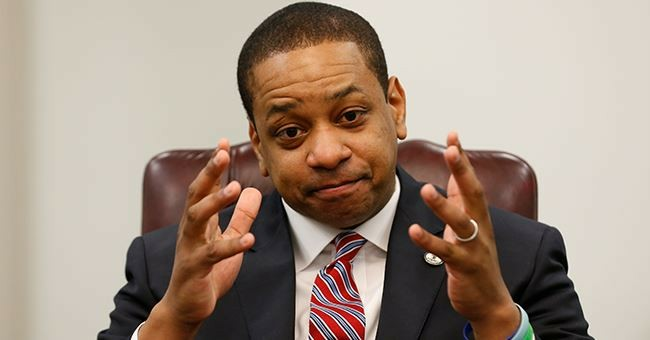 Justin Fairfax is now besieged with allegations of sexual assault. The second woman came forward Friday, which Fairfax strongly denied. He was equally vociferous in his denial regarding the first allegation, which he said was a consensual encounter. The Washington Post and other outlets knew about the allegation but did not run the story, being unable to corroborate it. Well, we have two accounts now, along with calls for Fairfax to resign. In less than a week, the Virginia Democratic Party has been decimated. And the party is facing a tough decision concerning Mr. Fairfax because any scintilla of support for him could reap a whirlwind with female voters. Virginia Delegate Patrick Hope, a Democrat, has threatened to file articles of impeachment against Fairfax if he doesn’t resign by Monday. Fairfax, like Northam, said he’s not going anywhere. And all of this because Northam decided to make some horrible remarks about a Virginia Democratic bill that would have permitted abortion virtually up until the moment of birth. That should have been what did Northam in, but here we are. These guys aren’t going anywhere for the time being. For now, just enjoy the fireworks. Nothing is better than watching Democrats squirm as their own rules and their own weapons are turned against them. They have no idea what to do here. This is a no-win situation for the Left. Grab some popcorn.